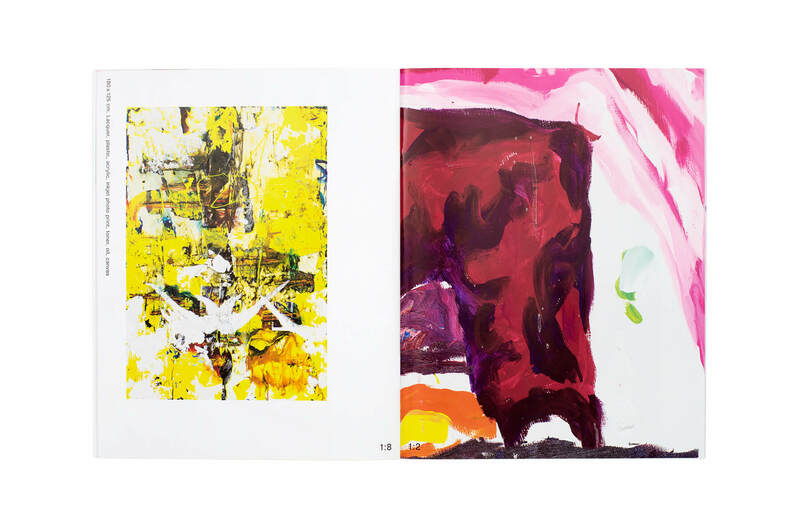 Morten Skrøder Lund is not particularly interested in narration, but rather in the production of his paintings. 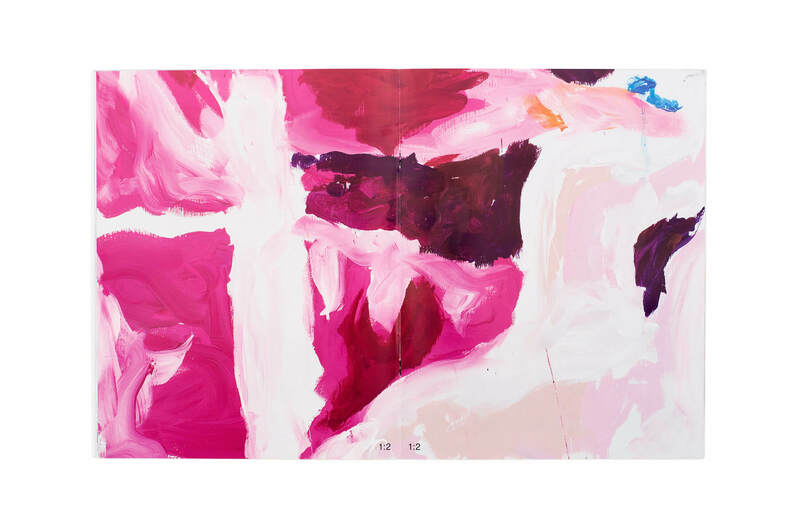 His practice hovers between directed actions and chance allowing for factors such as chemistry and gravity to change the motif throughout the work. 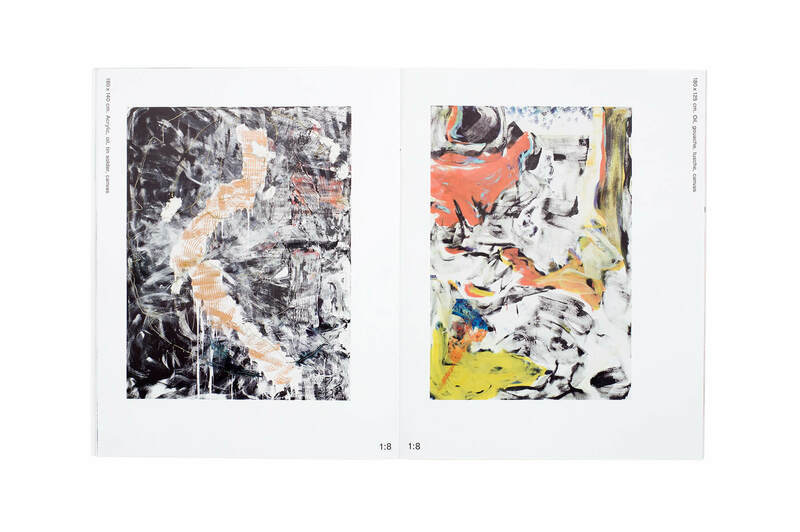 It is a conversation between the artist and random dynamics that stops only when all layers of paint have fully dried. 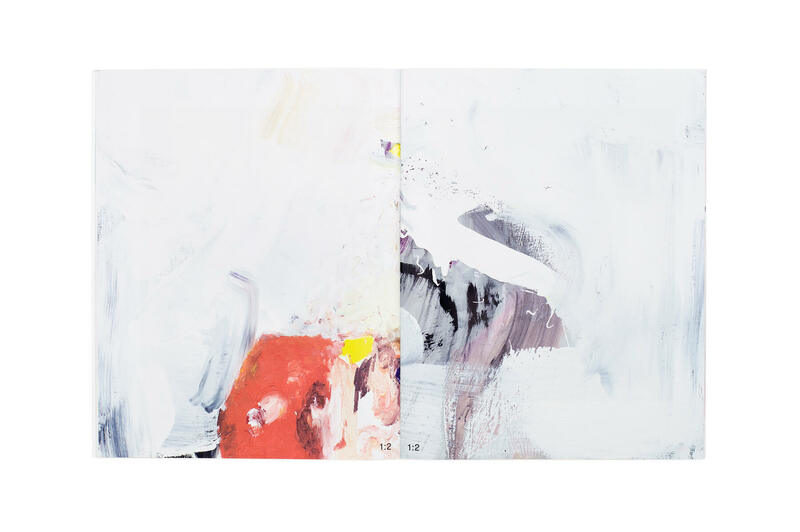 Each painting depicts its own logic, though always with the artist’s imprint unquestionably present. 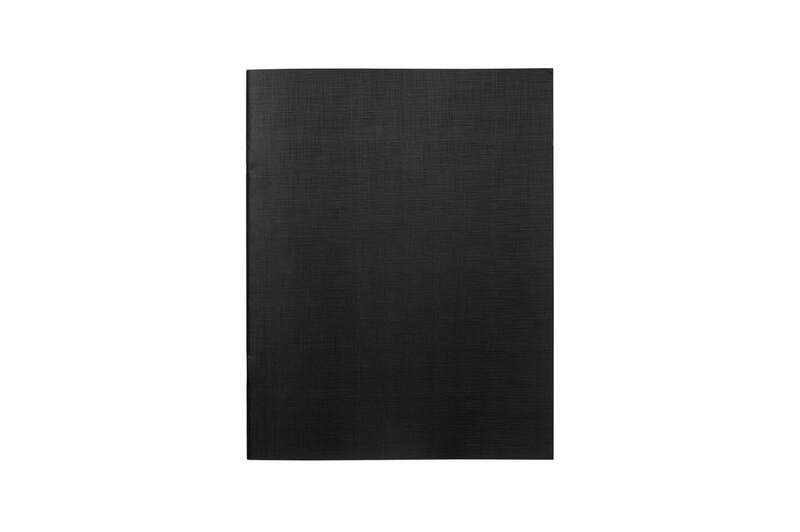 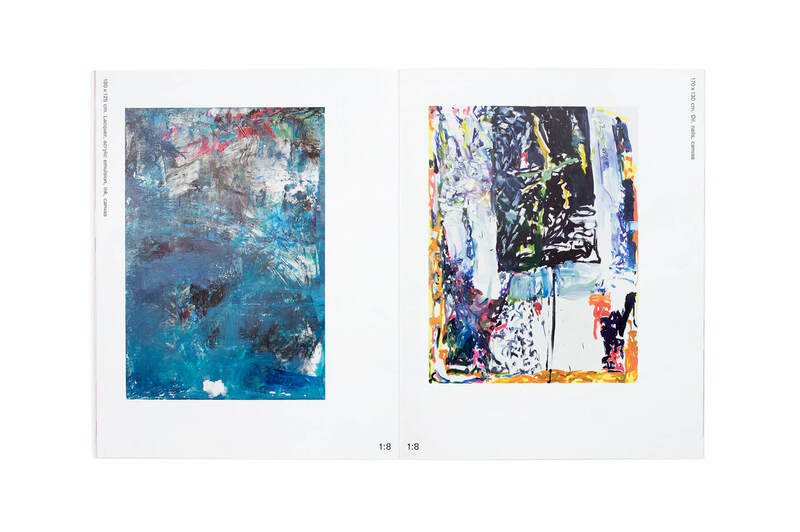 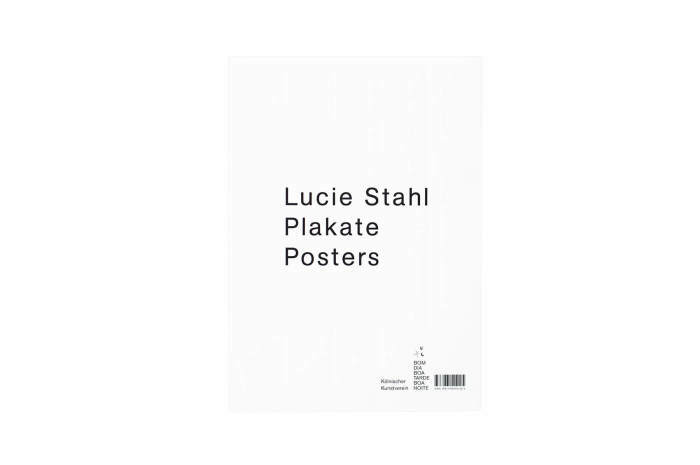 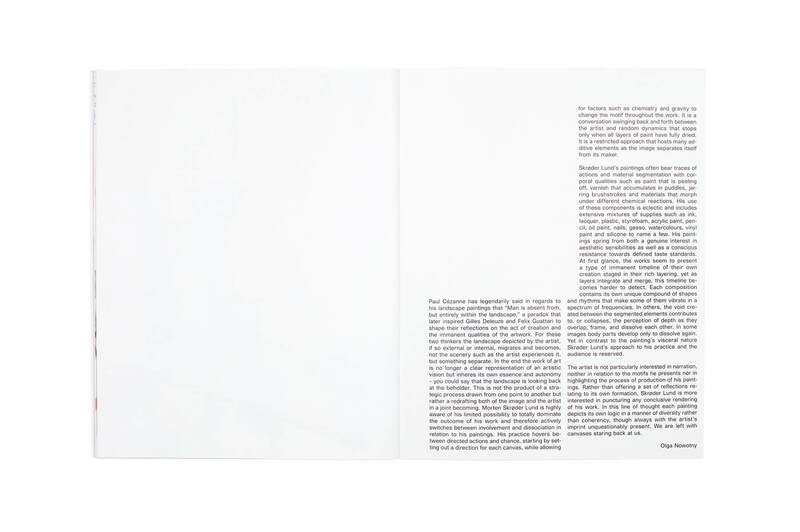 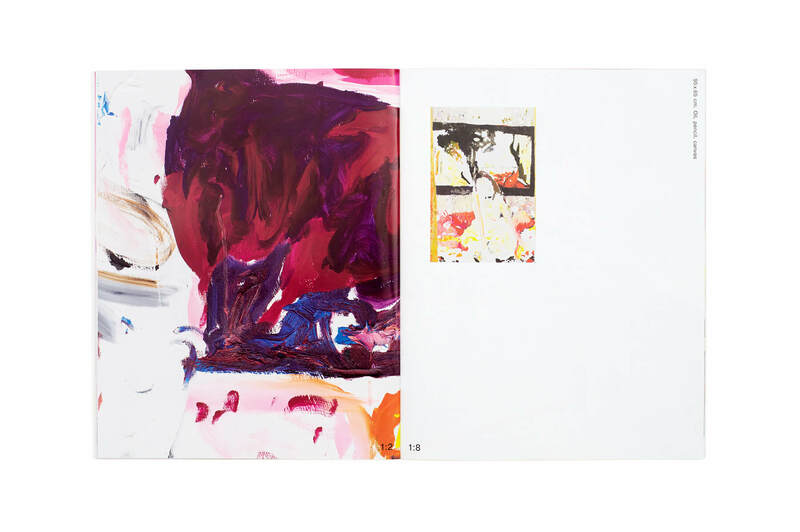 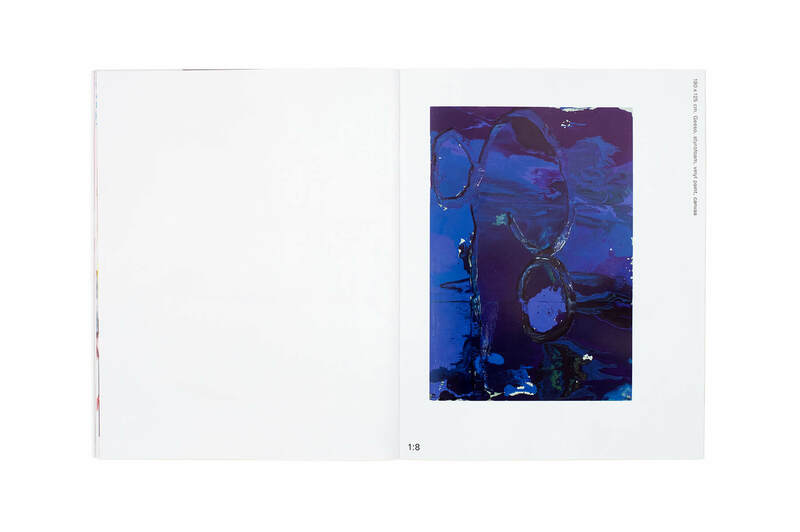 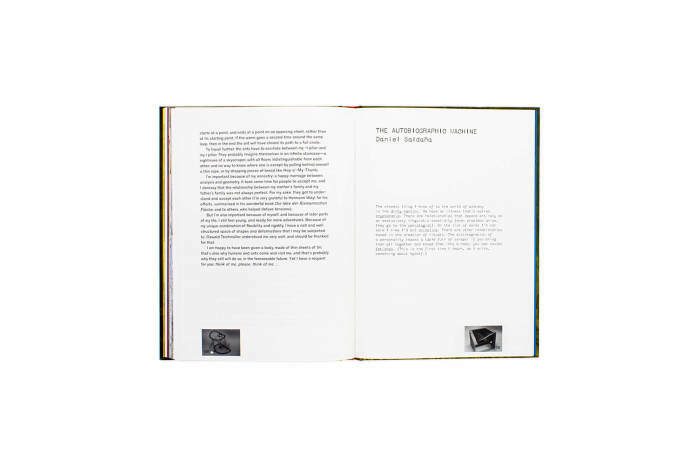 The publication featuring the artist’s recent work evolves from a large painting presented in pieces throughout the publication at 50% of its original size. 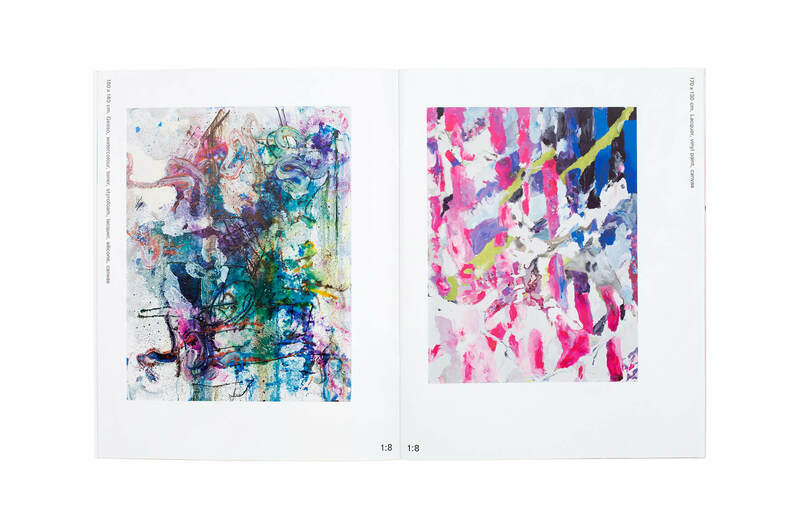 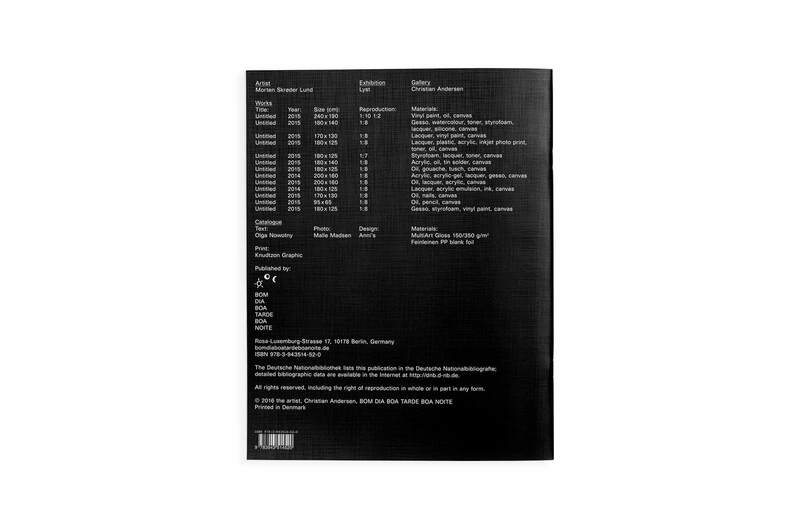 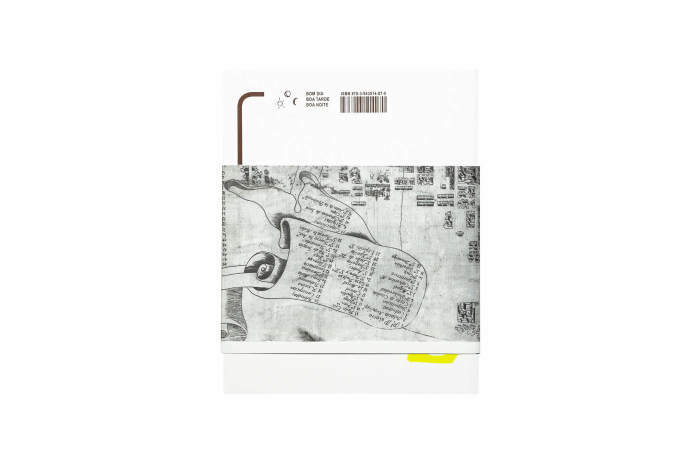 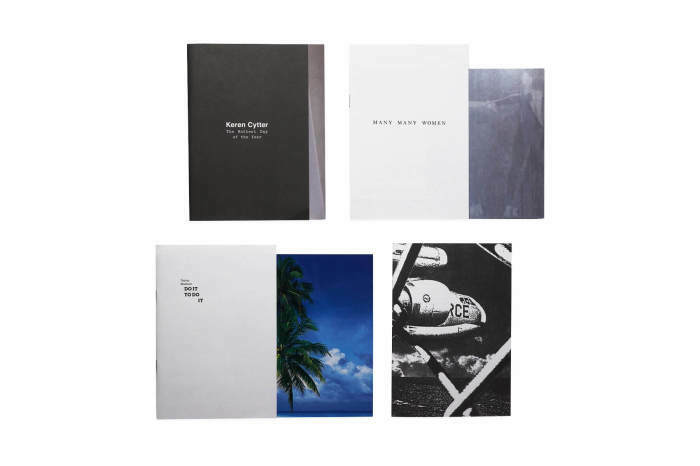 The book is published on the occasion of the exhibition Lyst by Morten Skrøder Lund at Christian Andersen, Copenhagen.